Hoya papaschonii was named after Papaschon Chamwong who sent a specimen to Michael Rodda at the Singapore Botanic Gardens for identification in 2012. 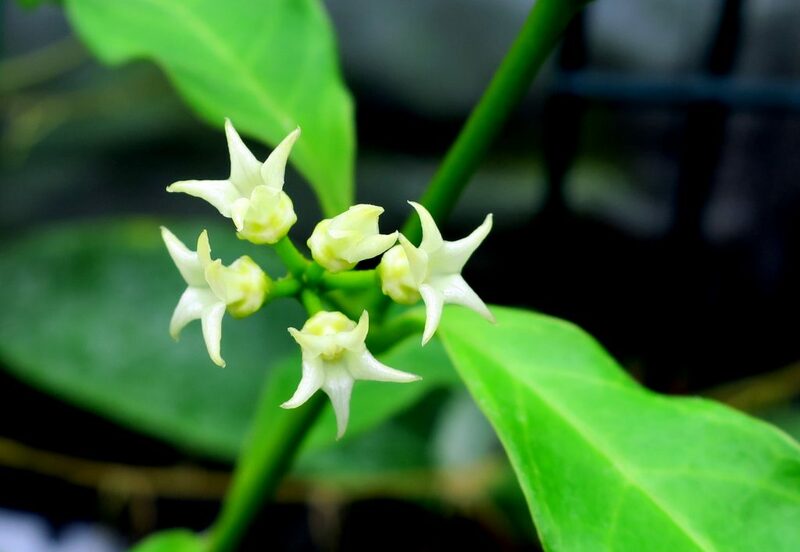 Its flowers are similar to Hoya telosmoides and it falls within the group of Hoyas which include Hoya multiflora, and Hoya praetorii. 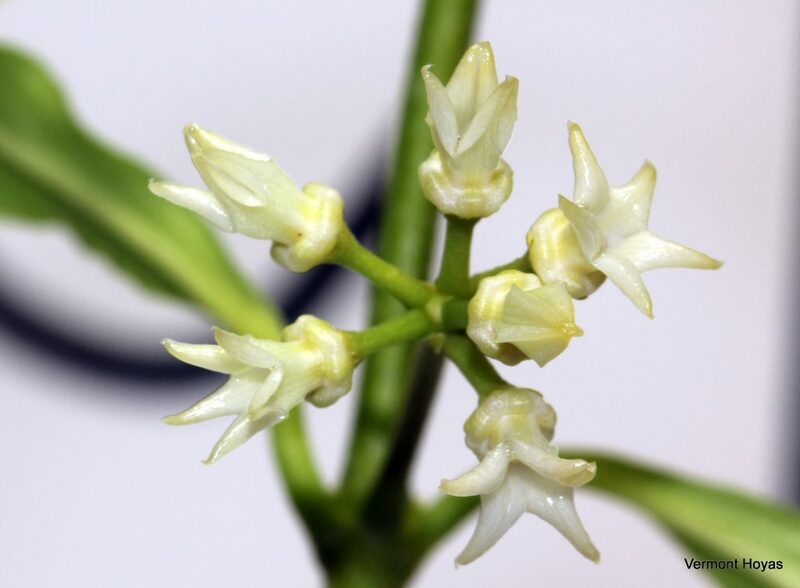 H. papaschonii was found growing in the trees completely epiphytically in the trees in the Betong District, Yala Province in southern Thailand. It was found in just two areas and would have to be considered at risk. Flowers are very small measuring just 3/16″ (4.7 mm) across, and the length in no longer than 5/16″ (8 mm). Peduncles fall off after flowering. I obtained my specimen as a seedling from my good friend Patrick Vance in the summer of 2015. He sent three plants that were almost completely dried up upon arrival. I re-potted them and only one plant survived long-term, which was grown semi-hydroponically using Growstones as the medium. It flowered after only a few months; the flowers are long lasting, small with no detectable scent. There are numerous reports that Hoya papaschonii is pollinated very easily by insects both inside and outside the home. This is a fun Hoya to play around with, and I encourage everyone to pick one up if you can find a plant offered for sale.